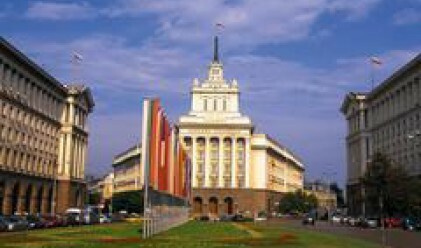 Bulgaria's current and capital account deficit stood at 725.6 million euros (2.2% of GDP) in January, against 628.7 million euros (2.2% of GDP) for the same month 2007, The Bulgarian National bank said today. Trade deficit amounted to 598.8 million euros (1.8% of GDP) in January, versus 585.9 million euros (2% of GDP) for the same period in 2007. Exports (FOB) came to 1,113.1 million euros, compared with 868.6 million euros for the same period in 2007. Imports (FOB) stood at 1,711.9 million euros, against 1,454.5 million for January 2007. The balance on the Services item was negative, amounting to 114.3 million euros (0.3% of GDP), against a negative balance of 43.1 million euros (0.2% of GDP) for the same period in 2007. Income (net) item was positive and stood at 8.2 million euros compared to a negative item of 46.9 million euros a year ago. Income receivable (143.3 million euros) rose 10.8 million compared to January 2007 (132.5 million euro). Income payable fell to 135.1 million euro. Net Current transfers was negative, amounting to 20.7 million euros (0.1% of GDP), against a positive item of 36.2 million euros (0.1% of GDP) for the same period in 2007. The Financial account balance was positive (230.6 million euros), slightly up from 214.7 million for the same period in 2007. Foreign direct investment abroad rose by 19.3 million euros, against a decrease of 13.4 million euros a year ago. Foreign direct investment in Bulgaria reached 242 million euros (0.7% of GDP), against 122.4 million euros (0.4% of GDP) for the same period in 2007. The direct investment covered 33.3% of the current account deficit against 19.1% for January 2007. Portfolio investment - assets fell 102.5 million euros, compared to an increase of 26.2 million euros for the same period in 2007. Portfolio investment – liabilities decreased by 40.6 million euros. Other investment – assets dipped 708.7 million euros. Other investment – liabilities slipped by 763.9 million euros. The item Net errors and omissions was positive, amounting to 164.1 million euros. Last year the the item was also positive (39.7 million euros). The Overall balance was negative (330.9 million euros). In January 2008 BNB reserve assets slipped by 330.9 million euros.